Mercer University is one of America’s oldest and most distinctive institutions of higher learning, offering rigorous programs that span the undergraduate liberal arts to doctoral-level degrees. With more than 8,600 students enrolled in 12 schools and colleges on campuses in Macon, Atlanta and Savannah; three medical school sites in Macon, Savannah and Columbus; and at Regional Academic Centers around the state, Mercer is consistently ranked among the nation’s leading institutions by such publications as U.S. News & World Report, which in 2014 named Mercer as the No. 1 Best Value in the South. Our more than 71,000 alumni are making important contributions to their professions and communities throughout Georgia, the Southeast and the world. 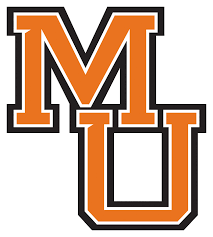 Mercer University is an NCAA Division I institution and competes in the Southern Conference. The mission of the Mercer University Athletic Department is to develop well-rounded student-athletes academically, athletically and socially. The program is committed to integrity, sportsmanship and equal opportunity for all students and staff. For more information about Mercer University, please visit us online at www.mercer.edu. To view all employment opportunities, visit the employment site at https://www.mercerjobs.com.